The purpose of eLearning in the workplace is to improve and enhance job performance. 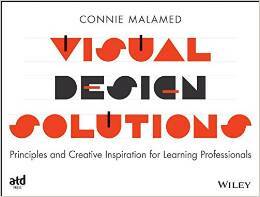 Do the learning experiences you design have sufficient doses of realism? Do you capture the real-world challenges and obstacles that occur out in the field or workplace? While at work, events don’t occur according to a planned script. How can formal training prepare employees for unexpected problems, troubleshooting and the inconsistencies that arise from dealing with complexity? For example, how can an online course help someone handle an employee crisis, deal with an irate customer or fix a crashed server? With no prepared script to follow, we must help learners prepare for the unknown. What we’re looking for here is positive learning transfer. In positive learning transfer, what a person learns in one situation (whether through formal or informal learning) enhances his or her performance in another situation. The difficulty for LX designers (that’s learning experience designers) is that in novel situations, many of the variables are unpredictable. Observation and Informal Chats. The best way to understand the types of problems that potential learners experience is to get in touch with their work environment. I’ve spent time at a muffler repair franchise, customer service call center and an HIV laboratory, to name a few. The type of information that emerges from informal conversations and observations in the work environment are enlightening. Beware that you may run into a tough spot in your zeal to spend informal time with employees. In some organizations, high-level management may not want you to chat with audience members. Although this is a self-defeating approach for the organization, there often isn’t much you can do about it. Formal Surveys and Interviews. In addition to workplace observation, it’s helpful to take a formal approach to gathering information by using surveys and questionnaires, running focus groups and interviewing sample members of the targeted audience and their managers. Check out Best Practices for Interviewing Your Audience. When it’s impossible to get on-site and directly into the work environment, telephone interviews are another option. If you’re not allowed to contact audience members, you’ll have to make do with interviewing supervisors only. The problem with this is that you may only get half the picture. Additional Research. If you can’t get access to the audience members or their supervisors, make attempts to research the field, read about it and imagine yourself doing what your audience members do everyday. The more you can imagine what work is like from the learner’s perspective, the more realistic and effective your learning experiences will be. This type of approach should improve positive learning transfer. How do you get a realistic sense of a workplace environment? Comment below. I agree that adding reality to eLearning is important. I’ve found that the more realistic the scenario I can place my learners in the more well received and meaningful the training is. I think that you also gain more credibility when you include information that is specifically applicable to your target audience. Good point about the credibility. The improved credibility alone is a good reason to add realism. Learners need to know they are understood. Thanks for adding to the conversation. Reality is fluid, and employee responses or reactions to live situations (a teller approached by a bank robber) also differ and are fluid. 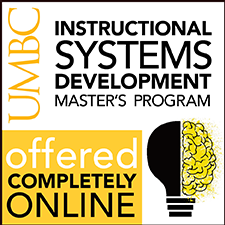 I wonder how effective are moderated wikis for continued learning after course completion? A course can’t cover every and all business scenarios. The courses I developed for compliance issues focused on the top 4-6 major ethical issues. Have you incorporated wikis into the learning activities you’ve created? Theoretically, creating a wiki for continued learning seems like a perfect idea. A wiki could cover a broader ranges of topics than a course and could be more easily updated. I personally haven’t had the opportunity to do that. I wonder if any readers of The eLearning Coach have implemented this? If so, please let us know. Thanks for the thoughtful comment. Hi Connie! 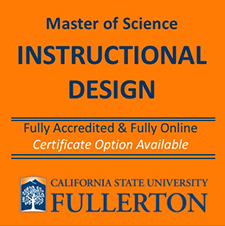 Instructional Design is a new field for me, as I have just begun my Masters online. I was really excited to find your site and to dig around and see the wealth of helpful information and experience you have compiled. It is a must for anyone getting into this field! I like the connection you made between how society is so used to reality tv shows, for example, and how real life situations are often not incorporated into workplace learning. It seems like incorporating reality based situations into learning would encourage encoding into long-term memory, as well as just being more practical to the learner. Recently at work, we received training for a new system that was being implemented. For the training, they simply took us through the stages quickly and said “click here, not here, and click here again…” There wasn’t much depth or thought regarding troubleshooting or practice in general. As predicted, the first day the system was live, many people, including myself, didn’t know what to do when encountering issues. Our trainers didn’t really empathize, as you discussed, with what problems we as the learners might encounter. I was thinking that a simulated practice, or even a role-play with another coworker before the system launch, might have been an effective way to anticipate potential problems. What are your thoughts on simulated troubleshooting practice in eLearning? What about encouraging role-play between colleagues as a way of gathering information to prepare for potential problems in new systems? Does that have a place in eLearning? Welcome to the field! I think you are developing a sharp eye for what works and what doesn’t in training. I think being given scenarios for which you have to use the system is known to be a good approach. I’ve never seen your idea about the role-play for troubleshooting a system and I don’t know if I quite understand how it would work, but it sounds intriguing! Keep on coming up with creative ideas and new paradigms and you’ll do well. 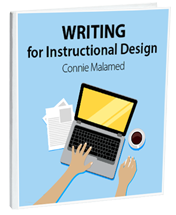 You might be interested in my free 12-lesson course called Breaking Into Instructional Design. Thanks for adding to the conversation. As with Genah above, I was really excited to find your site. I’m also new to instructional design and am hoping to develop a blended study skills course for undergraduate law students struggling to get to grips with the demands of a law degree in the early days. Using realistic situations is a great way to help students apply legal concepts and ideas to the real world and I’m going to browse your site for more helpful ideas. I’m particularly interested in the use of simulations to engage students’ interest (as law is not the most exciting subject for some 18 year olds!) and am also considering whether gamification could help enhance student interest/engagement. In any event, I’ve got your site bookmarked at the top of the list! Carry on the great work. Thanks, Ben. I think you are on the right track with realistic scenarios. Good luck on your project and I hope you find more helpful information on this site.